Unlisted firms can deliver high returns but are hard to buy, which is where investment trusts come in. Tom Bailey has some ideas. Companies list on stock markets in order to raise capital. Historically, businesses starting to see growth would sell shares in the company via an initial public offering (IPO), using that windfall of capital to fund the expenditure needed for their expansion. In recent years, however, firms have been shying away from listings, with many companies choosing to stay unlisted for longer or not bothering to go public at all. In the US, the number of IPOs has fallen from an average of 300 per year between 1980 and 2000, to an average of 100 per year between 2000 and 2017. As a result, the number of US-listed companies has shrunk by around half over the past 20 years. Meanwhile, according to a report by McKinsey, in 2014 the average US technology company took 11 years to go public, compared to just four years in 1999. The average age of a company on the US market is now 20 years, double what it was in 1997. There are several factors behind this. First, in recent years companies have been able to raise finance from new sources such as venture capital, private equity and forms of debt. At the same time, the nature of businesses has changed and also their financing needs. Historically, companies often went public to raise funds for heavy machinery; but, says Nick Greenwood, manager of Miton Global Opportunities (LSE:MIGO), "the world has now changed" Companies, particularly those involved in the technology sector, are increasingly reliant on intangible assets such as brand power or software. The costs associated with creating these are often covered in the early years, and such businesses need less capital investment to support expansion than traditional manufacturing industries did. Moreover, IPOs become inherently less attractive for companies once the huge costs of regulatory compliance are factored in. Regulations for listed companies have tightened in the past few years, making compliance more expensive and burdensome. The decline of public listings is often seen as a problem for investors. With fewer shares listed on public markets, the investing public has a shrinking pool of companies from which to profit. At the same time, as businesses delay public listings, investors on the public market often miss the best years of a company's growth. "There has been a growing trend for investment trusts to invest some of their assets in unlisted (pre-IPO) companies." These include big names such as Fidelity China Special (LSE:FCSS), which upped its unlisted limit to 10% in 2016, as did Baillie Gifford Pacific in 2018. Other newer trusts, such as Baillie Gifford US Growth (LSE:USA), have launched with a substantial pre-existing remit (50%) to invest in unlisteds. Indeed, investment trusts have a long history of investing in unlisted companies. The AIC lists 21 private equity (PE) trusts in the UK, 17 of which were launched more than 10 years ago. 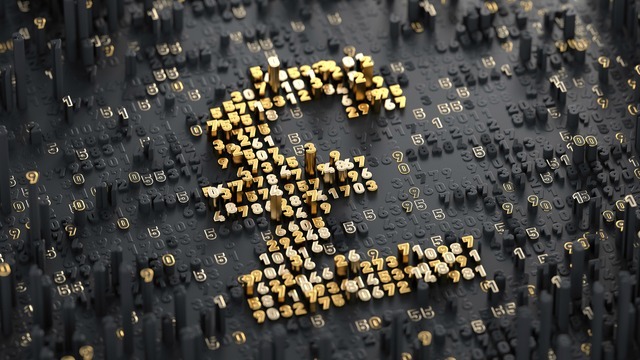 "The sector has stood the test of time, and particularly through the financial crisis," says Mark Thomas, an investment company analyst at Hardman & Co. Two new PE trusts launched in 2018: Augmentum Fintech (LSE:AUGM) and Merian Chrysalis (LSE:MERI). The structure of investment trusts is well-suited to investing in unlisted companies. Unlike open-ended fund managers, trust managers do not have to worry about the flow of cash as investors buy in and out of their vehicle. Trusts have a fixed pool of capital to invest and investors gain access by buying shares listed on a stock exchange, like any other company. Thus, in contrast to open-ended funds, there is no risk of investors attempting to take their capital out, forcing managers to sell assets to cover the redemption. The suitability of trusts as opposed to other investment vehicles for holding unlisted companies was recently shown by decisions taken by fund manager Neil Woodford. The manager recently trimmed some of the unlisted holdings in his open-ended fund (which amounted to around 15%), choosing instead to gain such exposure through his closed-ended trust, in which the fund purchased a stake. "By the time businesses come to the market to list, they are often fully valued." Similarly, comments Denny: "A lot of companies, which may already be very well-established players in their field, list on the stockmarket much later than in the past." Prominent examples include tech companies Snap (NYSE:SNAP) and Uber. Investment trusts' willingness to invest in unlisted companies, then, makes sense. By getting in during the early years, investment trusts - and by extension their shareholders - have strong opportunities for higher returns. Denny offers the example of Fidelity China Special Situations investing early in a high growth tech company, Chinese e-commerce giant Alibaba (NYSE:BABA). "The trust invested at a valuation of $48 billion in 2012," he says. "Alibaba is still owned by China Special Situations today at a market capitalisation of nearly $500 billion." The rise of passive investing is also likely pushing more managers to consider unlisted holdings, given that managers are expected to beat the market to justify their fees. First of all, by definition, index funds cannot provide access to unlisted companies. Second, by having the ability to invest in unlisted companies, managers are able to get around the problem of increasingly 'efficient' markets. As markets are now so extensively researched and increasingly populated by well-trained and disciplined investors, finding an undervalued company is increasingly hard. All knowable information about a company is already baked into the price of its shares, the theory says. As a result, many investors have grown cynical about active management, instead opting for the growing array of low-fee index funds and ETFs. However, by offering investors the opportunity for exposure to unlisted companies, active managers are attempting to show they can still add value beyond what passive investing can provide. A lack of both information and price discovery mean there exist no efficient markets for unlisted companies meaning active managers can theoretically more easily uncover interesting opportunities. There is some evidence of potential for greater returns through investing in unlisteds. "Research from Cambridge Associates and others suggests that private equity investors outperform public markets over the long term." Similarly, Richard Hickman, director of investment and operations at HarbourVest Global Private Equity (LSE:HVPE), points out that between 2009 and 2018, private equity companies listed in London delivered an annualised NAV total return of 11.1%, comfortably ahead of the annualised 7% recorded by the FTSE All-Share index. Scottish Mortgage's (LSE:SMT) strong outperformance is in part due to its unlisted holdings (it has a 25% cap on unlisted exposure). Scottish Mortgage has a five-year NAV return of 133.3% versus the MSCI World return of 77.3%. In November 2018 it was disclosed that trust’s unlisted holdings had provided a 419% return since 2010. Of course, if the potential returns are relatively high, so too are the potential dangers. As Walls starkly puts it: "There are greater risks, and failures tend to be terminal." That is, companies not yet listed on the public market are more likely to go bust. "Newer entrants have greater risks, as investments tend to be in emerging/disruptive businesses where the risk of total loss is high and minority investors may have limited influence." He says that while he has no doubt there will be "some spectacular success," there will also be "plenty of failures". 1) Investing in unlisted companies o­ften makes trusts harder to compare to the broader market. Alex Denny notes: "Valuations of the unlisted holdings are not updated daily based on a prevailing share price." Instead, their valuations are o­ften triggered by a new round of fundraising. That means that gauging the performance of the trust's holdings is harder over the short term, with returns o­ften staggered for when such "trigger" events result in a revaluation. "This is a source of alpha, but can mean that in the short term investments underperform a sharply rising index," says Denny. 2) Charges tend to be higher. Richard Hickman notes: “Fees tend to be higher than for conventional listed equity trusts, due to the additional work involved in sourcing and managing private company portfolios, so it’s worth looking at performance net of all fees and costs when comparing trusts.” These fees can also be more complex, especially for trusts that invest exclusively in unlisted companies. For example, Merian Chrysalis has a fee of 0.5%, plus a performance fee of 20% of returns above 8% a year.